I’ve been a huge fan of Polette glasses for a long time, (you can read my first review of them here), but these ones take the cake. They are definitely my new favorite accessory! 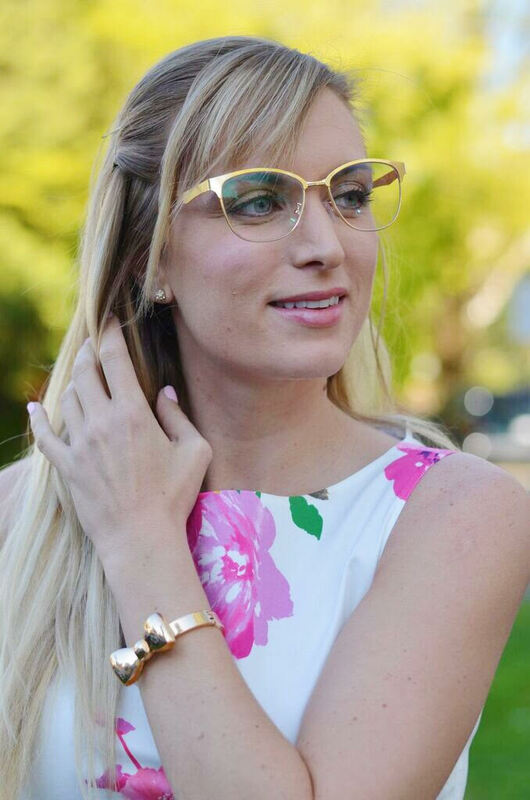 The light gold frames are perfect for spring. 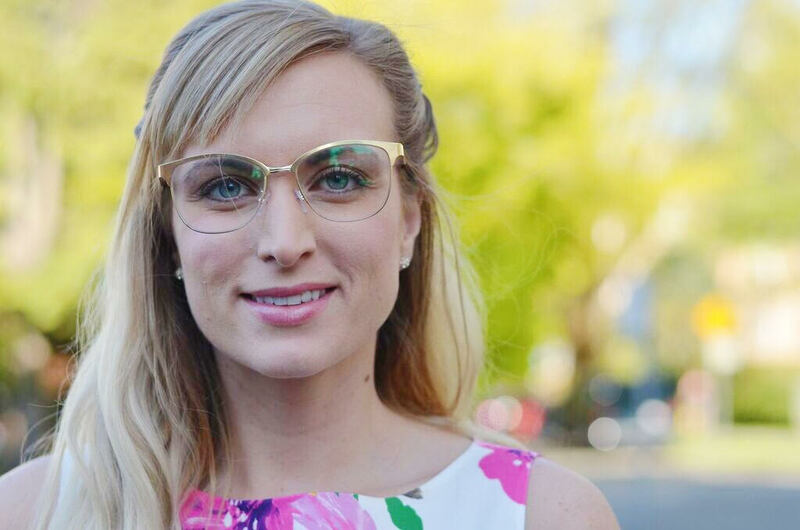 Polette is an online optician that offer’s designer frames from $6.99-$49.99 with anti-reflective and anti-scratch coated lens options as well. As you know from last week’s post, I love to make my work looks more spring-like with the top I choose to wear. 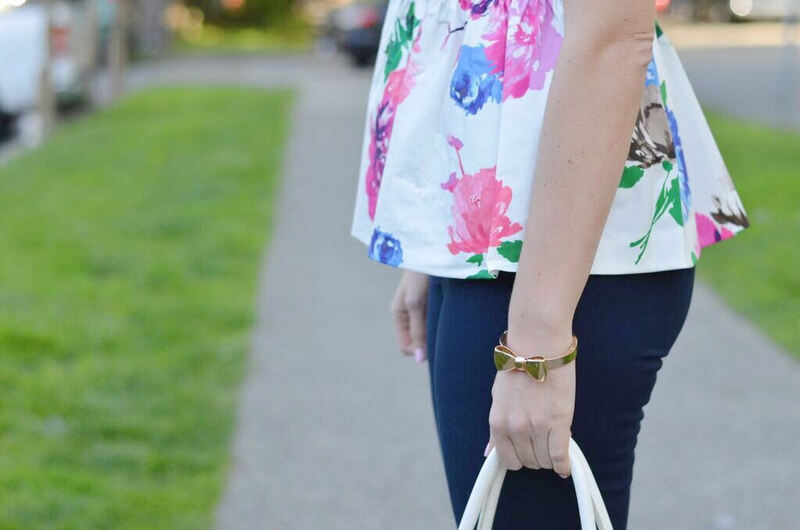 This Kate Spade top is feminine and I love the big floral print. For work I wear this with a blazer on top; but it’s great to bare some shoulder (and get some sun!) over the lunch hour. Have a great weekend everyone! I’ve got a fairly low-key weekend planned, unfortunately I have to work a fair bit to get on top of my case load for work next week, but I definitely plan on getting at least a bit of sunshine relaxation in! "Style Inspiration: Spencer from “Pretty Little Liars”"
I love floral and esp during spring time. I really adore the color of this floral top on you! Same here! And thank you so much Abby! Thanks Brittany! And aren't they cool glasses?! I was OBSESSED when I found them – they are so different but still look totally work appropriate! I love the gold/pink NAVAGIO sunglasses! Oo ya those are pretty for sure! And ahh yes those ones are so great for summer! I love the Polette Sunset Green wood sunglasses. Good pick! I've been wanting to try out wooden glasses for a while now! I really like the Telepathy Brown sunglasses! I really like the Black Ondine Sunglasses! Great pick – such a cool shape! Such stylish glasses! 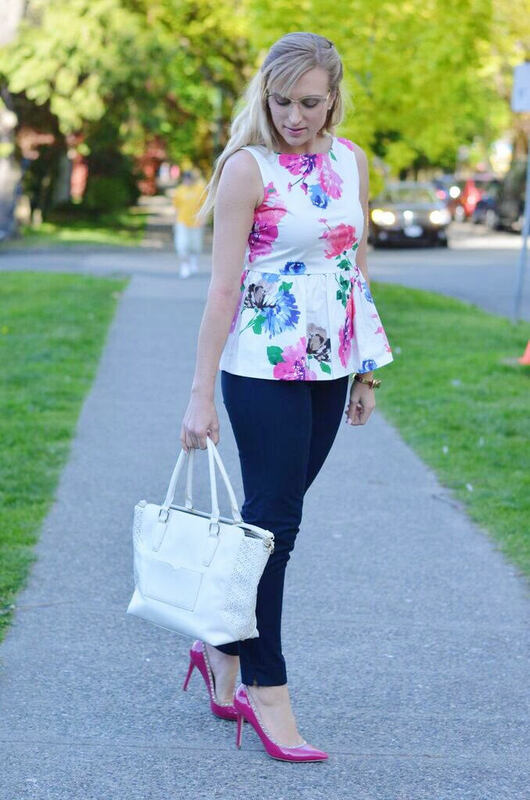 Your floral peplum top is so pretty and looks perfect for spring with your slim trousers and pumps. Wonderful look for the office! Thanks so much! I definitely cannot get enough of the glasses! Such a pretty floral top! Definitely brightens up a wardrobe and makes it spring ready. Polette is a great company. 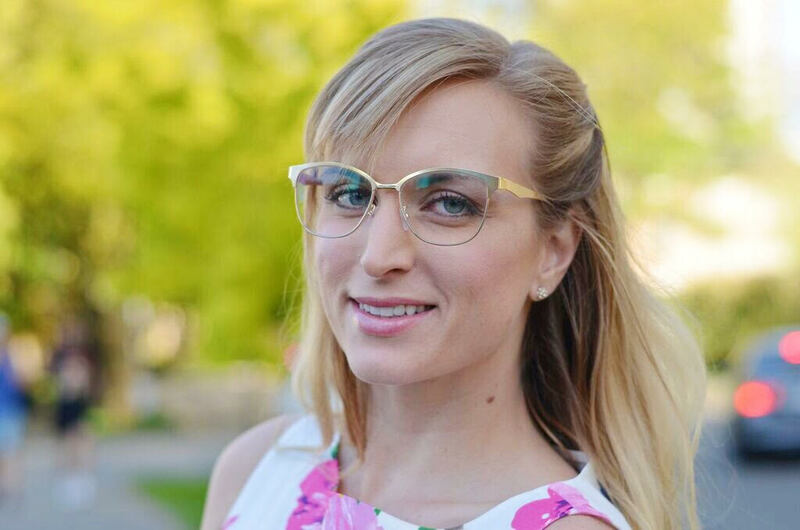 These frames are too cute! Thanks Amanda! 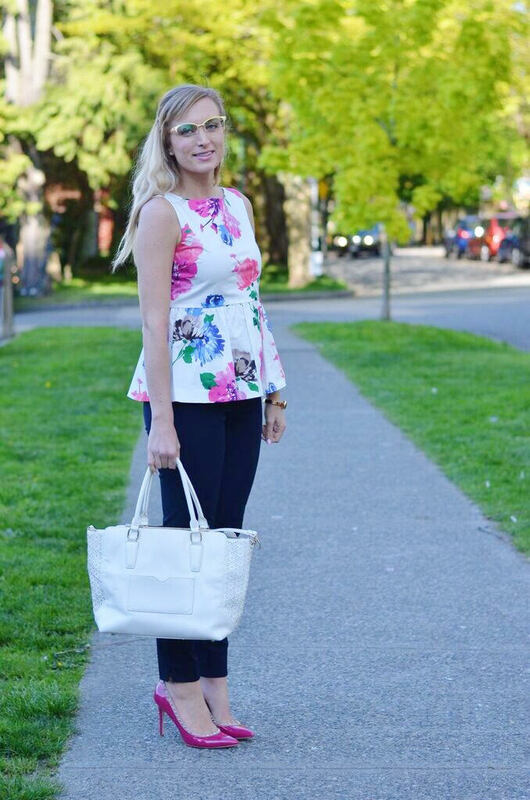 I love wearing floral to work – it still looks professional but actually adds a bit of fun to work wear! !